Record-breaking Formula One engineer Adrian Newey has given his support to the University of Southampton Malaysia Campus (USMC), helping to celebrate its formal opening. Newey, who earned a First Class honours degree in Aeronautics and Astronautics from the University of Southampton in 1980, joins special guests from Malaysia’s Ministry of Higher Education, the Iskandar Regional Development Agency and Iskandar Investment Berhad for the opening (21 March 2013) at the EduCity@Iskandar in South Johor. 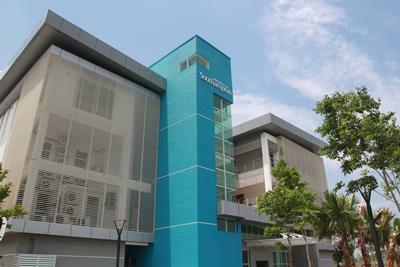 The South Johor Campus represents a major strategic investment by the University of Southampton in Malaysia. The Campus welcomed its first students last September to enrol on Southampton’s world-renowned degree in Mechanical Engineering with further programmes to follow, including the University’s degree in Electronic and Electrical Engineering later this year, as well as opportunities for PhD students. Newey, the Chief Technical Officer of the Infiniti Red Bull Racing Formula One team has won more Formula One Constructors’ Championships than any other designer in the sport’s history, including the last three seasons with Red Bull, and is the only designer to have won Constructors’ Championships with three different Formula One teams. “It is my great pleasure to support the University of Southampton for the formal opening of its Malaysia Campus,” said Newey. “My degree from Southampton has certainly assisted me in my career and helped me develop, which I believe will also be true for Southampton’s future graduates in Malaysia and the UK."